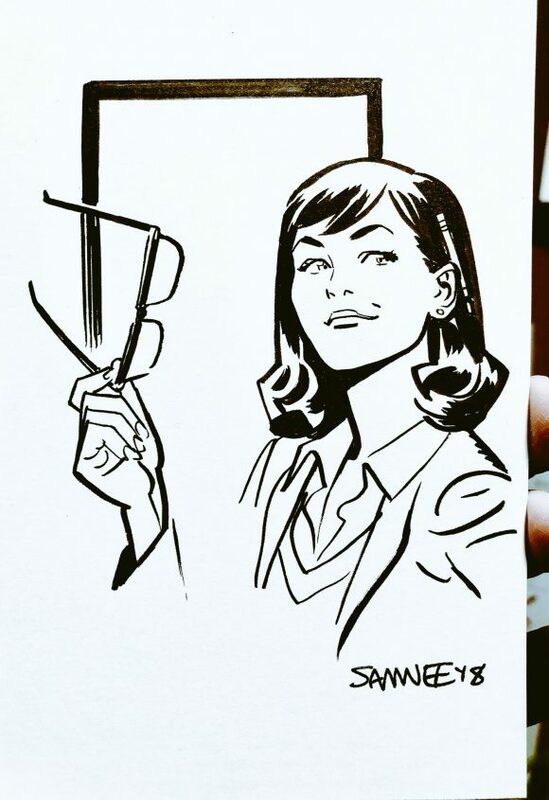 This is pretty big news because for my money, Samnee is one of the absolute best artists working in comics today. Toth, from the treasury-sized Limited Collectors’ Edition #C-41. Now, I have no special information, no secret intel. 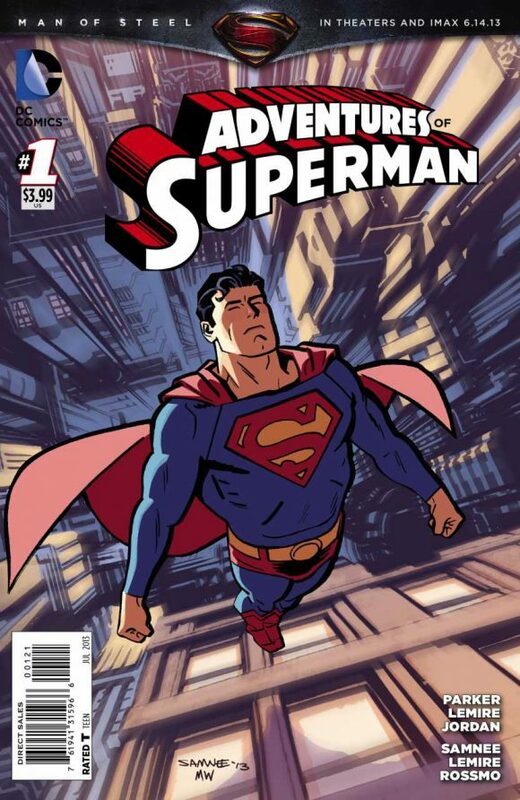 But I’ll go out on a pretty small limb and guess that Samnee’s headed to DC Comics. Sure, perhaps he’s got an itch he wants to scratch elsewhere, a creator-owned project he’s been dying to do. Chris isn’t saying what he’s up to next, so I’ll fill in the blanks for you with some specific projects that I’m just dying to see him tackle. Originally, I was going to make a list of 13, because that’s what we do. 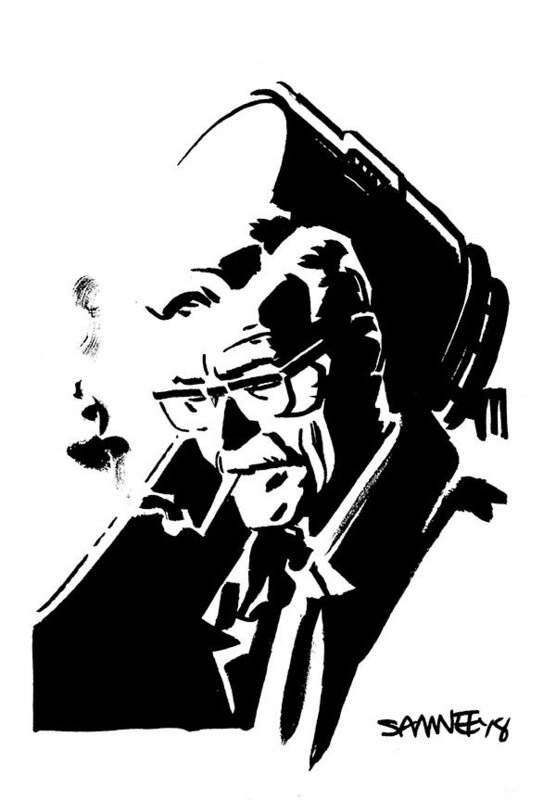 But in this case, that’d be silly because really, I’d love to see him on any DC book. Still, there are a handful of titles that are crying out for his touch. A quick note before we get to the list, though: I’m not knocking any artist who’s already working on these characters. 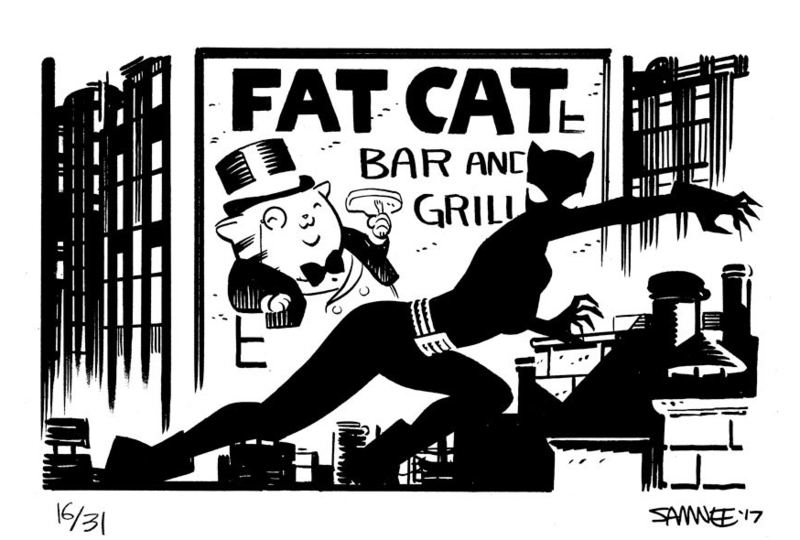 I’m just saying this is what I’d like to see Samnee do most. Hmmmmmmmmmmmm. Alas, all I can do is speculate. But, boy, how cool would this be? Getting a full run is something I know I would be “super excited” for. I know, I know, DC calls him Shazam now. I don’t. 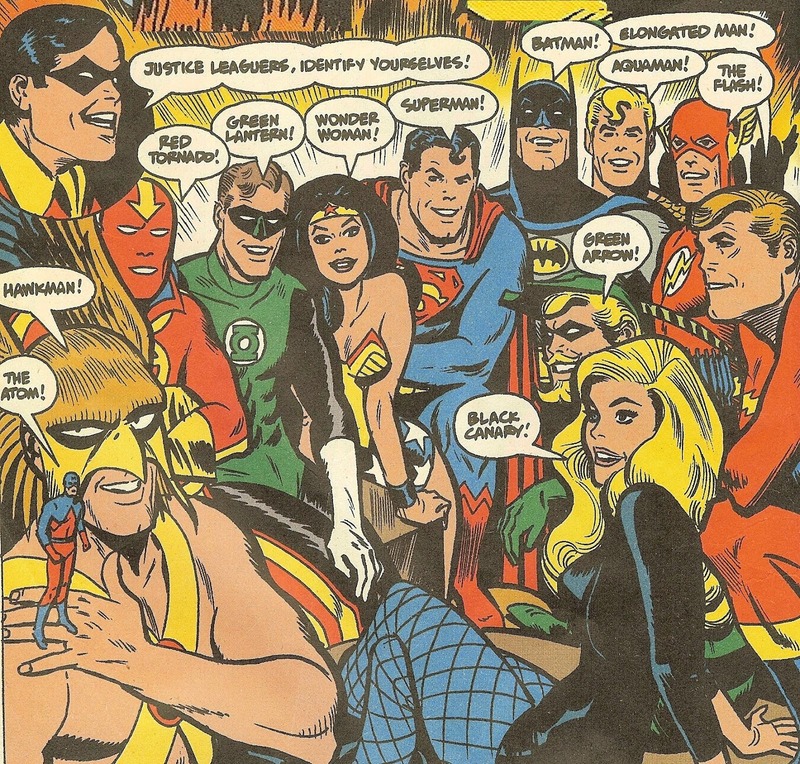 But Warner Bros. has a big Shazam! movie coming out soon and the Hero Formerly Known As Cap is missing from DC’s books right now. The New 52 version didn’t really take so now’s the perfect time to revamp (unvamp?) the character and give us a classic approach. 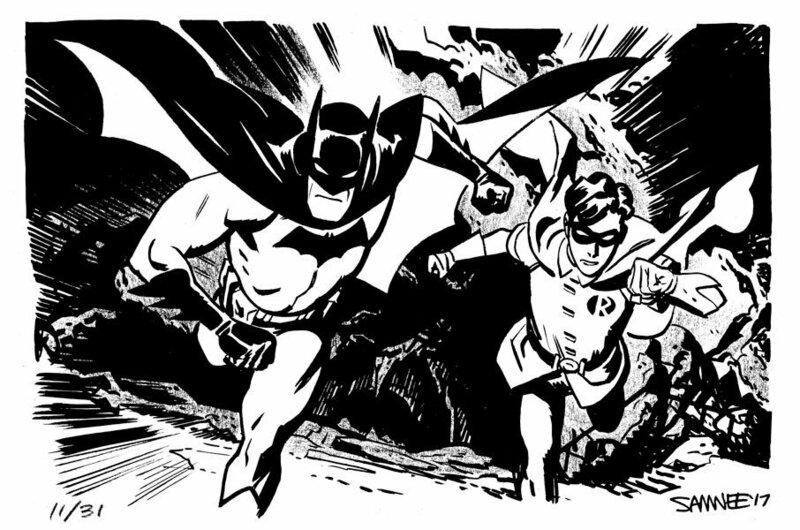 Samnee spent the month of October auctioning off daily Batman sketches for Inktober. (Click here to check out a selection of 13 of them. They’re magnificent.) 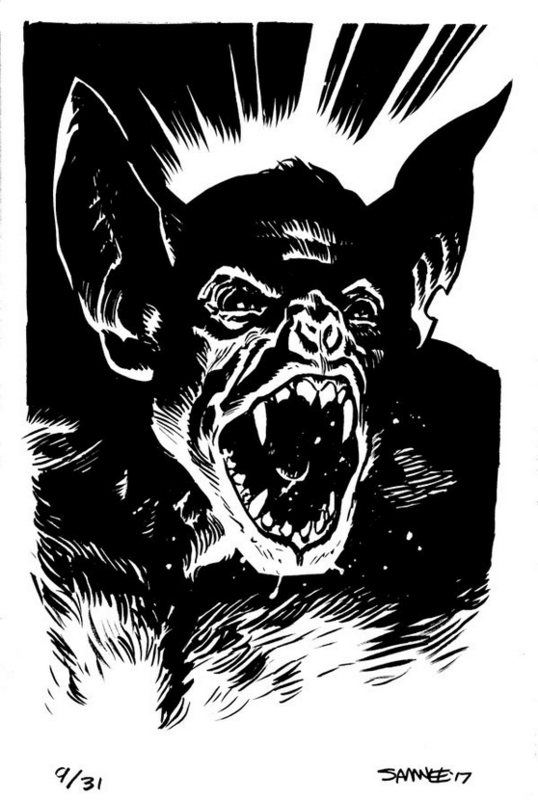 Each one made me want him to draw Gotham’s denizens full-time that much more. Naturally, there’s so much more. The rumors that Hawkman’s getting a book again remain persistent. 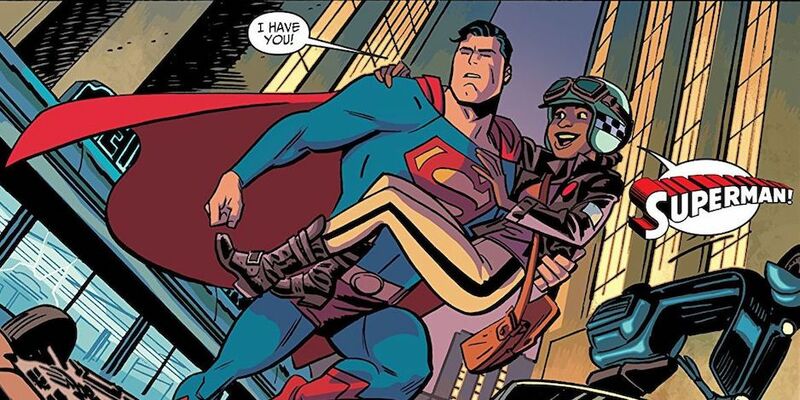 Supergirl’s getting cancelled as part of the Bendis Super-takeover but she’ll return for sure. If DC wanted to bring back the Question, that’s also a natural. But really the ones above are the ones that jump out at me, especially the top three. 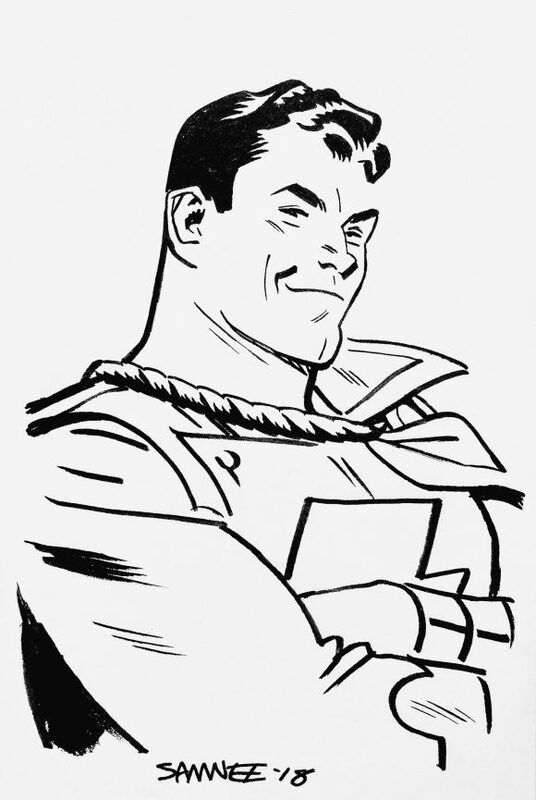 Because if you’re going to bring in Samnee, you’re going to bring him in to do your biggest guns, like Superman or Batman — or to do a project where you really want to get people’s attention, like Shazam! No matter what, I look forward to finding out soon enough. — For an EXCLUSIVE PREVIEW of CAPTAIN AMERICA #699, Samnee’s penultimate issue, click here.